Address: 361800, Kabardino-Balkarskaya Republic, Cherkessky r-n, pos. Kashkatau, Kezima Mechieva st., 78. Zapovednik Kabardino-Balkarsky, in the south of the Republic of Kabardino-Balkaria, was founded in 1976. Its area is 82,5 thousand ha. 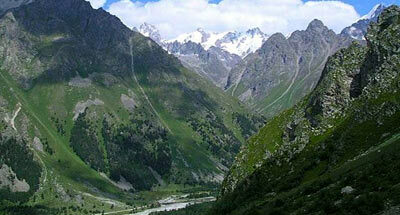 It is located in the high mountain part of the Central Caucasus with its main and side ridges. The relief is alpine, although absolute heights do not exceed 5000 m above sea level. The river network is thick; the main rivers being the Chegem, Balkarsky and Bezengiysky Chereks. 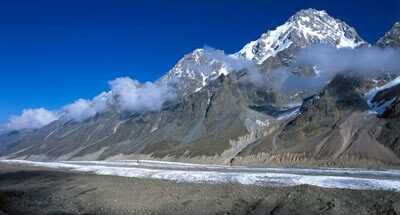 More than 60% of the territory is occupied by glaciers and rocks. About 5% of the area is under the forest and rhododendron thickets; 13% is under meadows. In plant cover vertical belts can be distinguished: a forest belt, spreading till a height of 2300-2400 m above the sea level, is made up of by birch and pine forests. In the flood zones of the rivers white alder forests are spread; in the Balkarsky Cherek's valley there are small sites with beech forests. The alpestrine belt is located higher, formed from cloud pine-birch and alpestrine birch forests, tall-grass meadows, alpestrine crooked forests, and rhododendron thickets. In the alpine belt are spread meadows and heathlands, changing lower with subnival plant groups on bare slopes and rocks. The nival belt, where snow is present year-round, is located above 3700 m.
Flora is made up of about 1000 vascular plant species, including many relict, endemic and rare species (Betula raddeana . Campanula dolomitica, Petrocoma hoefftiana, Saxifraga columnaris, Saxifraga dinnikii, Stelleropsis caucasica — all of them in the Red Data Book of the Russian Federation. 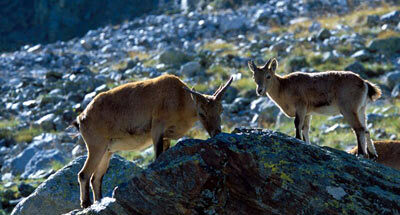 Here live the West-Caucasus auroch, chamois, wild boar, brown bear, lynx, wolf. Birds make up more than 100 species, such as Pyrrhocorax graculus, Tetraogallus caucasicus, rype and ouzel. Among rare bird species the Caucasian black grouse is wide-spread; bearded vulture, imperial eagle, golden eagle nest in the Park. Four species of reptiles live in the Park, including Lacerta saxatilis, and Vipers ursini. In wetlands brook trout live.